David Crane delivers the Pre-Law Day keynote. 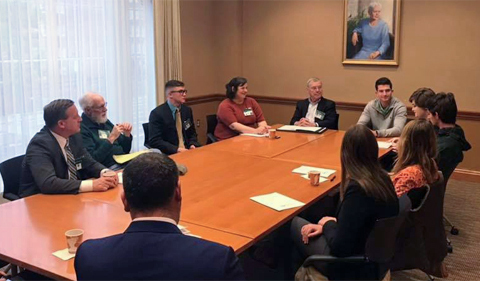 Seventeen Ohio University alumni and friends returned to campus Nov. 8-9 to share their law-related experiences and advice with current students during the 2018 Pre-Law Days. 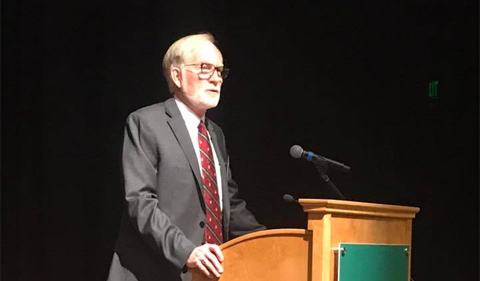 The event kicked off in Baker Theater on Nov. 8 with a keynote address by Ohio University alum David Crane. Crane earned a bachelor’s degree in History in 1972 and a master’s degree in African Studies in 1973. He also earned a Juris Doctor from Syracuse University in 1980. He is a Glidden Visting Professor for 2018-19. Crane was the Chief Prosecutor for the Special Court for Sierra Leone and was responsible for indicting Liberian President Charles Taylor. Crane spoke about the importance of the rule of law throughout history, especially today. 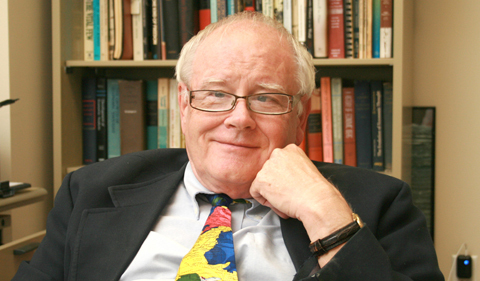 He also detailed the rise of the “Strong Man Era” and the emergence of international justice. David Crane talks to an engaged audience at Pre-Law Days. 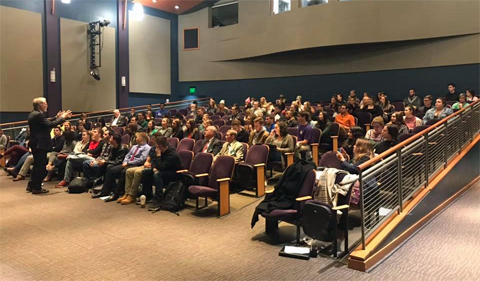 The event continued on Nov. 9 with a series of panel discussions in which students could ask questions of the alumni. 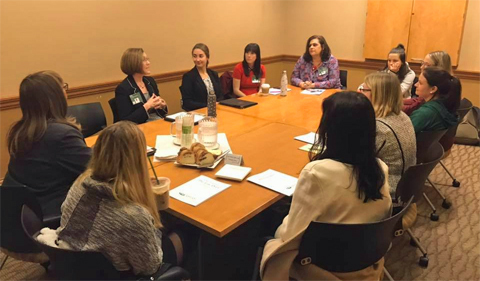 The alumni shared experiences and advice on topics such as corporate law, women in the law, law school advice, and public interest law. Any student interested in a potential legal career was invited to attend. Some students were strongly committed to attending law school while others were still weighing their options. 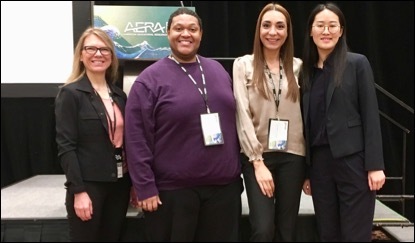 Students attend a Women in the Law panel with alumni. Several faculty members from the College of Arts & Sciences were on hand to moderate the panels, including Amanda Cox, Lecturer in Sociology; Haley Duschinski, Associate Professor of Anthropology; Jennifer Fredette, Assistant Professor of Political Science; John Gilliom, Associate Dean for Strategy, Finance, and Administration and Professor of Political Science; Kathleen Sullivan, Associate Professor of Political Science; and Kevin Uhalde, Associate Professor of History. After the panels several student groups gave presentations on their missions, membership requirements, and events to both students and alumni. 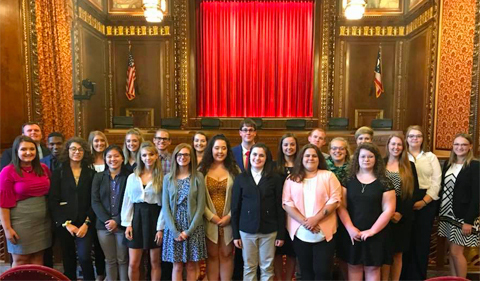 Represented groups include Phi Alpha Delta, Ohio University Mock Trial, Undergraduate Black Law Students Association, Students Defending Students, and the American Civil Liberties Union of Ohio University. A Pre-Law day panel with students and alumni. 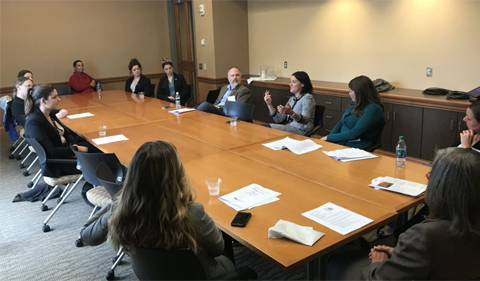 Finally, students and alumni engaged in a series of roundtable discussions on topics such as Terry v. Ohio Turns 50, This Year at the Supreme Speech, and Gender in the Law. Charles Dyas: Dyas Law, LLC. Fred Bryant: Federal Land Reuse Solutions, LLC. Pre-Law Day is hosted each year by the Center for Law, Justice & Culture.